This was one of those weeks where we just did not find much. A lot of that has to do with catching up on some projects that have been sitting in our garage for awhile (Hopefully, we'll have more to post on that soon). Chris did go to many estate sales throughout this weekend, but only walked away with a couple of pieces. Whenever we find brass Moroccan trays, it's hard to pass them up. 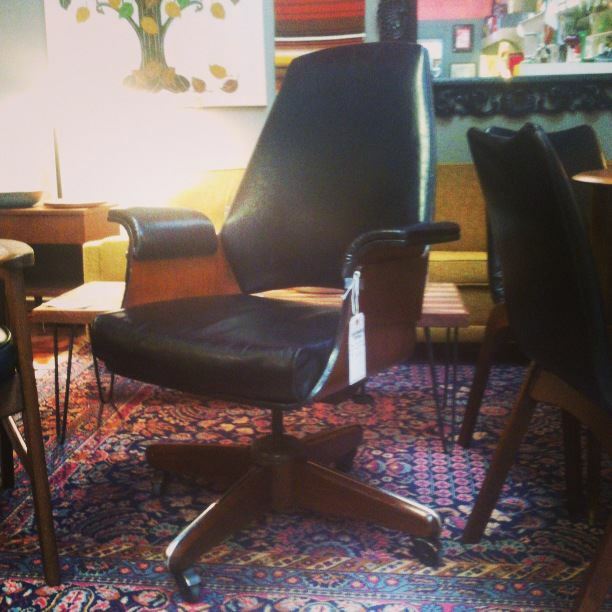 This one is in such great condition and has a simply beautiful design (Sorry the picture quality is so poor!). 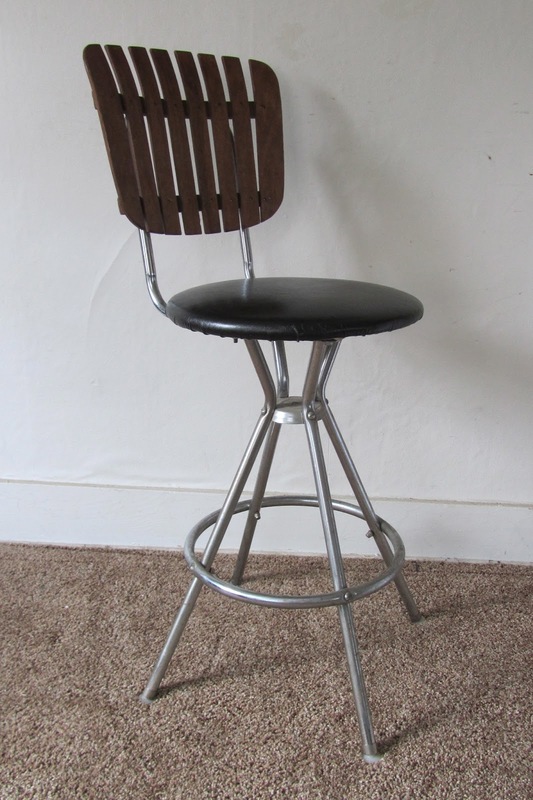 Barstools are always useful seating and seem to sell quickly in our shops. Oh that barstool! I found the same one last year at a yard sale and have been looking for a second one ever since to match. Jealous! I had a "quiet" week as well. Love the brass table, I have a set of 4 of those stools in green - we use them everyday, and you guys blow me away at how well and how quickly you can "fix" up a find. That chair looks fantastic! Thanks for the link up. Just discovered your fun blog. Thanks for hosting all of us!